The brown and orange Iowa Pacific trains will stop running on the Hoosier State line starting March 1st. 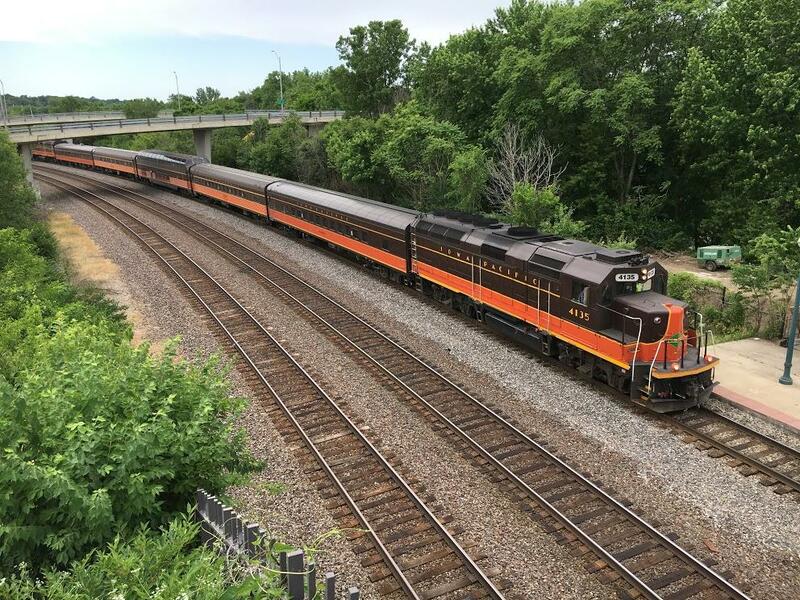 Indiana Department of Transportation officials say an unreasonable request led to Iowa Pacific Holdings removing itself from a deal to run the Hoosier State passenger train. But Iowa Pacific’s CEO says a quirk in the contracts between his company, INDOT and Amtrak doomed the partnership. Ed Ellis says his firm’s compensation from the deal decreased each time on-time performance improved. “The way the contracts worked, we ended up getting less money as the train ran more on time,” Ellis says. That’s due in part to a contract stipulation that INDOT paid Amtrak before Iowa Pacific when there was any profit. It meant Amtrak got deposits totaling almost four million dollars in 2016, but Iowa Pacific got just half-a-million bucks. That led Ellis, late last year, to try to renegotiate the deal, asking for $150,000 a month in guaranteed revenue. INDOT spokesman Will Wingfield says that’s more than the original deal stipulated and more than was reasonable for Iowa Pacific to seek. Ellis says he didn’t realize the contract would swing the payments so far in Amtrak’s favor, and says he’ll learn from the experience if his company enters into another public-private partnership. “The one thing that I would want to change going forward is to make sure that we put some kind of a floor under what our monthly revenue would be from the contract so that we don’t get into a situation where, at the end, we’re several hundred thousand dollars less than where we thought we would be,” Ellis says. Wingfield says the national passenger rail carrier has verbally committed to trying to add some of the amenities Iowa Pacific offered, including WiFi service. As lawmakers grapple with funding the state’s roads and bridges, many communities don’t want them to forget another mode of transportation: rail. And Republican leaders say the Hoosier State Rail Line’s future in the next two-year state budget should be secure. Lawmakers provided $6 million in the last two-year budget for the Hoosier State Line from Indianapolis to Chicago. The money came from a one-time source, the state’s tax amnesty program. A clearer picture of the progress and the challenges for the Hoosier State passenger rail service is emerging as the books close on Amtrak’s first fiscal year of operating the route in conjunction with the state, the cities served by the line, and private contractor Iowa Pacific Holdings. At the end of August, Amtrak reported ticket sales of $886,000 for the first 11 months of the 2016 fiscal year, a 30 percent increase over the previous year. In the crossroads of America, it's pretty easy to get around by driving or flying. But if you want to take the train, your options are limited. Now, public-private deals such as the Hoosier State train are trying to change that. Proponents of more rail service hope the Indianapolis-to-Chicago line so far will help prove their point to lawmakers. On a Friday morning, the Hoosier State train is snaking north between Dyer and the Illinois state line. 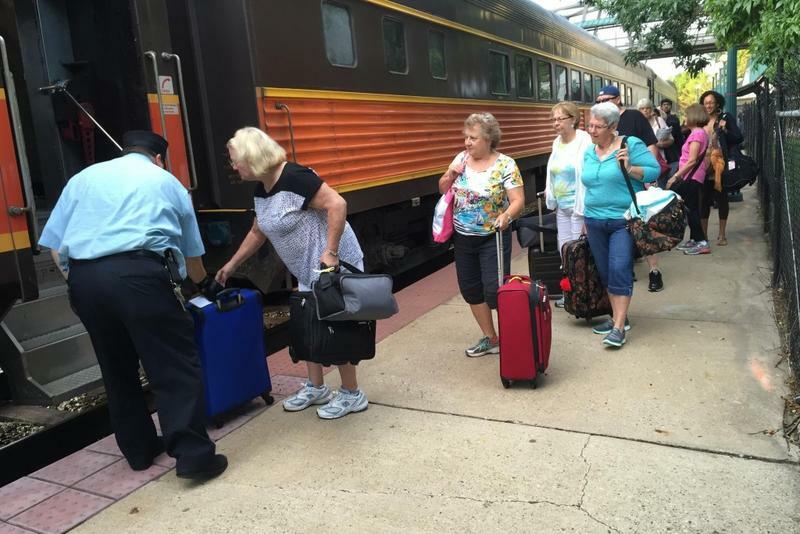 About 90 passengers sleep in their seats, eat breakfast in the dining car or use free WiFi. Results are mixed one year into a two-year partnership involving the state, Amtrak, a private contractor and communities served by the Hoosier State passenger train. The state’s goal has been to improve the route, attract more riders and generate more revenue to make the four-times-a-week round-trip service between Indianapolis and Chicago more self-sufficient. WBAA’s Chris Morisse Vizza assess the progress thus far, and whether it’s enough to win continued funding from Indiana legislators. With almost half the state’s funding for the Hoosier State rail line exhausted, leaders Thursday tried to rally support for increasing the frequency of the trains – even though they have no clue how they’ll pay for it. A special train, run by Iowa Pacific between Indianapolis and Lafayette, sought to gin up interest for, as Iowa Pacific CEO Ed Ellis put it, as many as 15 trains a day along the route. 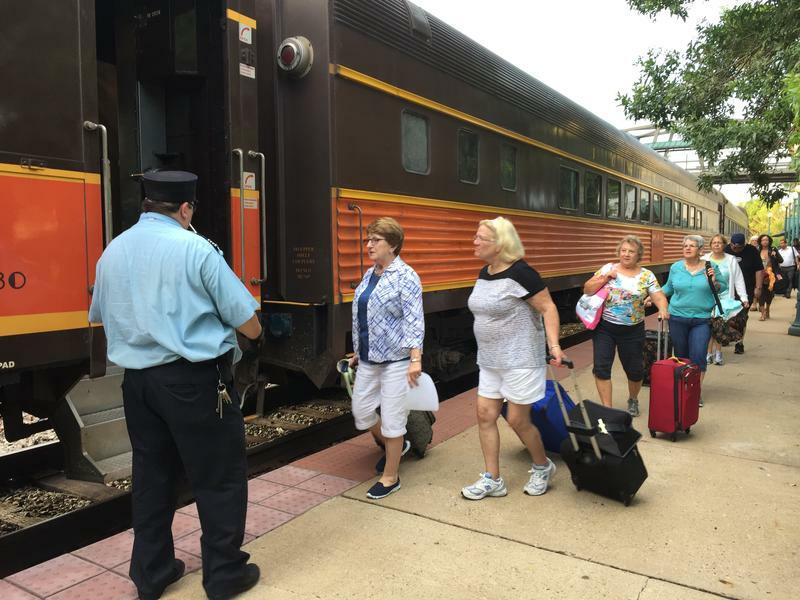 The casual rider of the Hoosier State Line probably didn’t expect any changes on July 1 as an Amtrak-branded engine and set of cars rolled through Lafayette on its way to Chicago. But instead of the red, blue and gray Amtrak paint job, passengers were supposed to see the brown and orange paint job of Iowa Pacific rolling stock.